It’s official… the Frontgate Flagship store has arrived at Legacy West! Most Texans are familiar with Frontgate thanks to its catalogs and online presence. Until now, Frontgate’s only brick-and-mortar store (besides outlet shops) was in Atlanta. 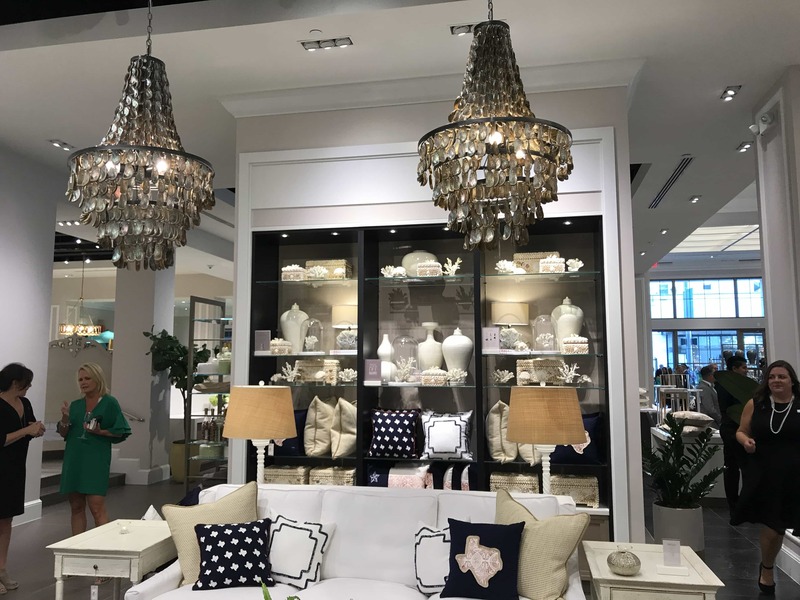 The Plano location, which has a prime spot in the lush urban destination Legacy West, will become the retailer’s new flagship store. Last Thursday evening, Lifestyle Frisco joined their spectacular Grand Opening soiree to sip, nibble, and shop to our heart’s content! In typical Frontgate fashion, every detail was thoughtfully selected for the enjoyment of their guests. We started off with signature cocktails from Leann Berry, a standout presence in the Dallas hospitality industry for over 20 years, earning local recognition as D Magazine’s “Best Bartender in Dallas in 2013 and 2015. The Texas Sunrise, The Home Sweet Home, and The Plano – a bourbon, sweet vermouth, and walnut bitters concoction. We had the privilege of sampling a few signature recipes from a true cooking legend, Dallas’ own Chef Kent Rathbun. From Presidential inaugural balls to network TV appearances, Chef Rathbun is one of the country’s go-to chefs for great food and even better times. We enjoyed his Red Shrimp Ceviche, Bar-b-cue Brisket with Black-Eyed Peas, and an irresistible Banana Parfait for dessert. Dallas String Quartet, international music sensation, added to the elegant-yet-hip atmosphere, with their fusion of classical and contemporary music on both traditional and electric strings. At 22,000 square feet at the north end of the Legacy West development, Frontgate stands for Grand Living. Meaning, homes that are grand in spirit… generous, welcoming, and beautifully appointed. Comfortable homes, infused with touches of luxury and ease. Inside their showroom, you’ll find furniture, artwork, and accessories grouped in different home areas. Their seasonal section currently showcases beautiful outdoor living spaces, but will soon be covered in the brand’s signature Christmas decor. Their products are designed to create extraordinary rooms, whatever their size. They inspire welcoming, hosting, and entertaining. Their products are made to be lived in and to endure the test of time. Frontgate believes in the incredible value of quality, service and a long-term commitment to both their customers and their products. They proudly support every product they sell with world-class customer care and an industry-best satisfaction guarantee. Their promise is to meet, and exceed, their customer’s highest expectations. The store will carry several store-only exclusives that you won’t find online or in the catalog. and get festive at monthly parties and events!